Rose Gold is definitely having a moment. With the high street offering anything and everything from copper coat hangers to rose-tinted lipstick, it's become quite clear that this trend is here to stay... So when I discovered the Milan based jewellery brand Bronzallure that launched into Fraser Hart earlier this year, I was instantly attracted to the range. Crafted from rose gold-plated bronze and encrusted with semi-precious stones, every single piece of the collection exudes effortless, Italian style. Alongside my love affair of Rose Gold, I'm also loving the mix of seventies inspired styles on the high street at the moment, particularly anything in paisley, suede or cheesecloth. This Missguided Crochet Trim Bardot Dress is one of the more subtle takes on the trend but has been one of my staples this summer. I've been pairing it with my Bronzallure Briolette Charm Bracelet* to give it a more modern look. 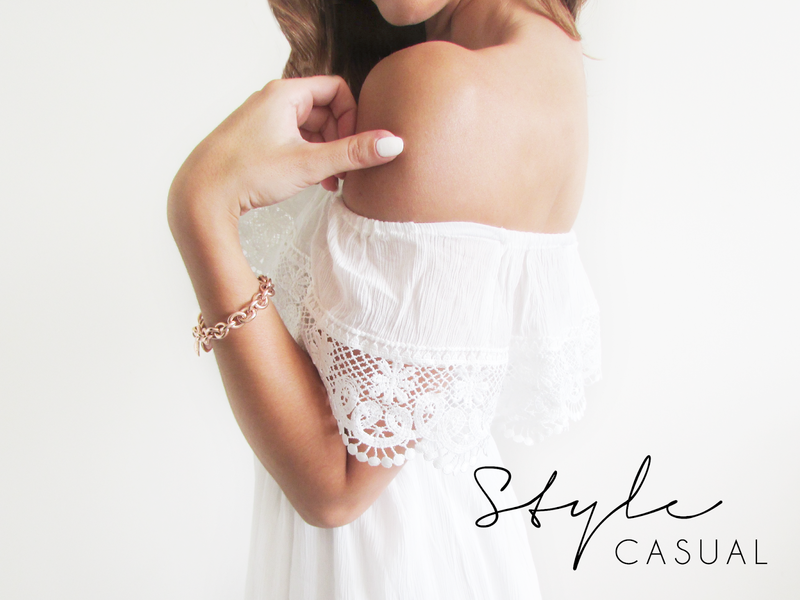 The chunkiness of the bracelet works perfectly against the delicate detailing on the dress and I love the contrast between the rose gold and white. Thrown together with a pair of sunnies and my trusty leather jacket, I suddenly feel very ‘Milan'. When it comes to date night or an evening out for drinks with friends, I always struggle with what to wear. Over the last few years my wardrobe has changed considerably and I've become much more of a dress down kinda gal than I ever used to be. The problem is that I'm not huge on accessories either, so I can end up looking a little too casual. 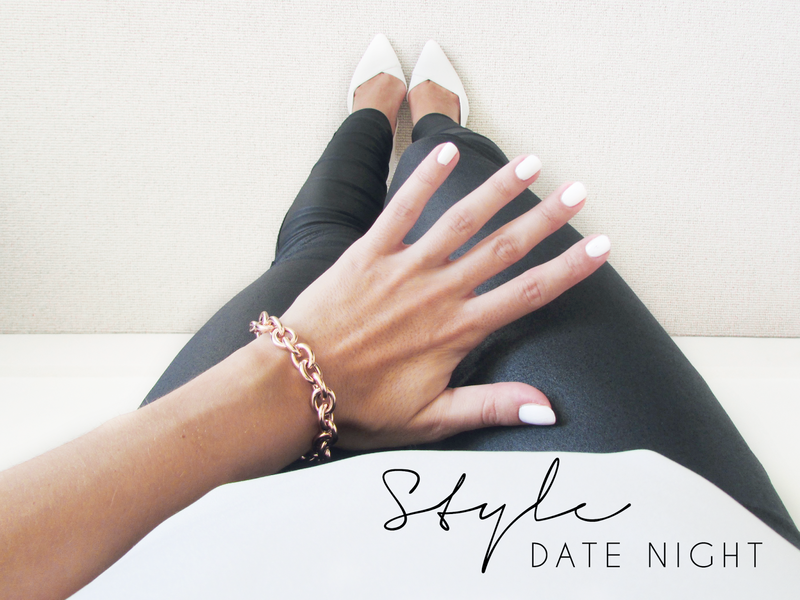 Recently I've swapped the standard skinny jeans for a pair of Topshop Coated Jeans, alongside my chunky Bronzallure bracelet and my favourite New Look Pointed Heels to take the look from work to play. Turning 25 *sob* means everyone you know is either having babies, getting engaged or getting married - which means lots of fancy events to attend. I love getting dressed up, but find so many people forget their personal style when dressing for a special occasion. 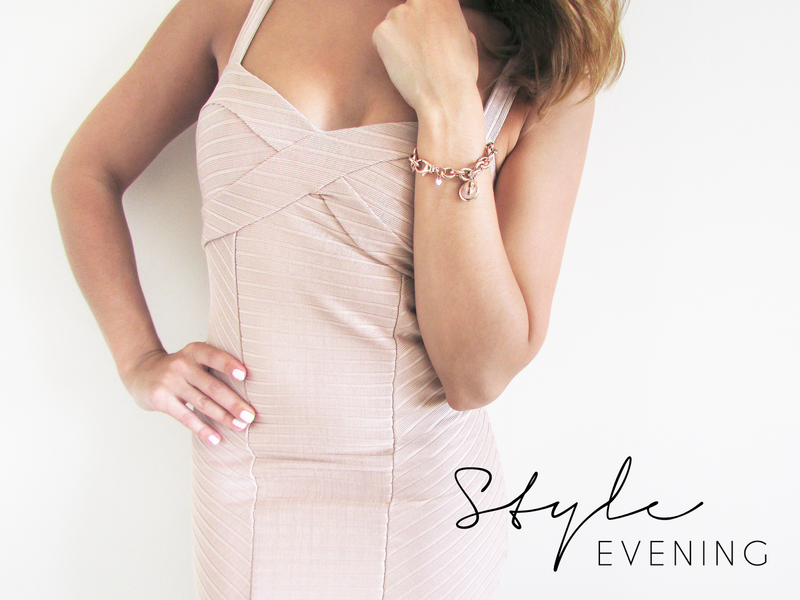 A pop of white nail polish and this cute Bronzallure bracelet have seen me right the way through wedding season, keeping even the simplest of dresses modern and stylish - the perfect combination. How are you wearing Rose Gold this season? I love Rose Gold it's so pretty! 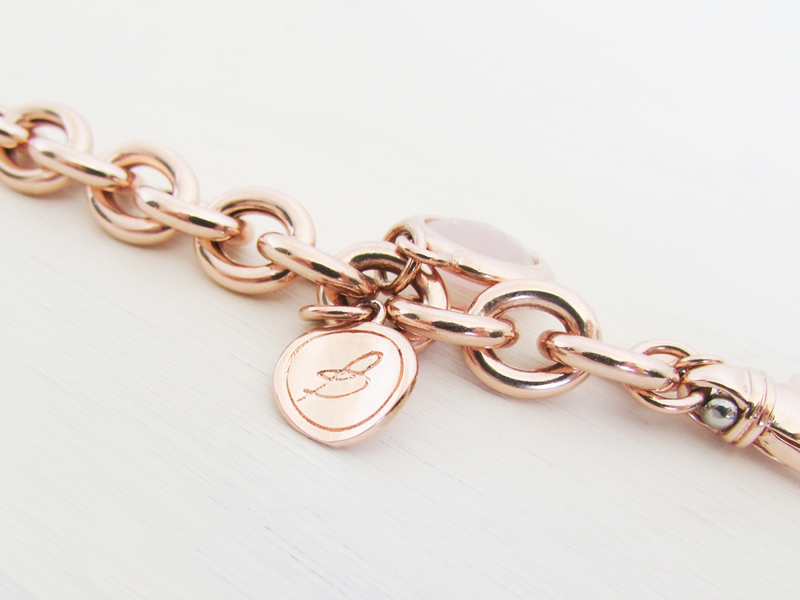 Love how you've styled this bracelet too, it's beautiful! Stunning styling .. WE LOVE!